OH MY WOW! This is so cool! So much to look at and so much texture! Gorgeous Leah! Leah, that is totally awesome !!! I love love love it! Love the quote from Bob Ross and the reference to him - I loved watching his show, watching him paint but most of all I loved listening to him talk - so happy and uplifting. Your page is beautiful- with bursts of color and happy. My favorite are the 3d stars. Once again you have impressed me!! Have a fantabulously happy day! this is beautiful. i'm LOVING all your inky, painty, messy stuff lately. your creativity knows no boundaries, and i'm TOTALLY inspired. i can't wait to move so i can make messes! I love this. I want to try mix media so bad, I just dont know where to start! This is AMAZING!!!! I absolutely LOVE LOVE LOVE it! Absolutely AMAZING!! WOW WOW WOW!!! 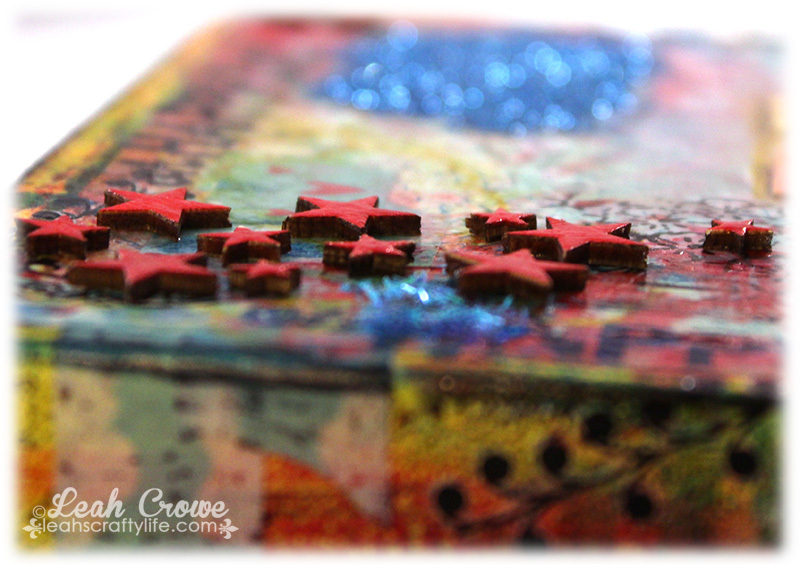 I loveeeeeeee the colors, the stars and the textures!! Oh Leah, this is amazing!! I love the design and the colours are wonderful. I used to watch Bob Ross, we sometime catch the repeats on tv now and then. He had such a soothing voice and a wonderful style. This is a fabulous canvas, so many lovely colors and such wonderful dimension. Awesome canvas, Leah! Very creative design! I love it! So funky and colorful!! Love it! Wow! Fantastic canvas! I love the colors, layers and use of the stamps! This is so freakin cool girl!!!! Omg, totally love this Leah!! 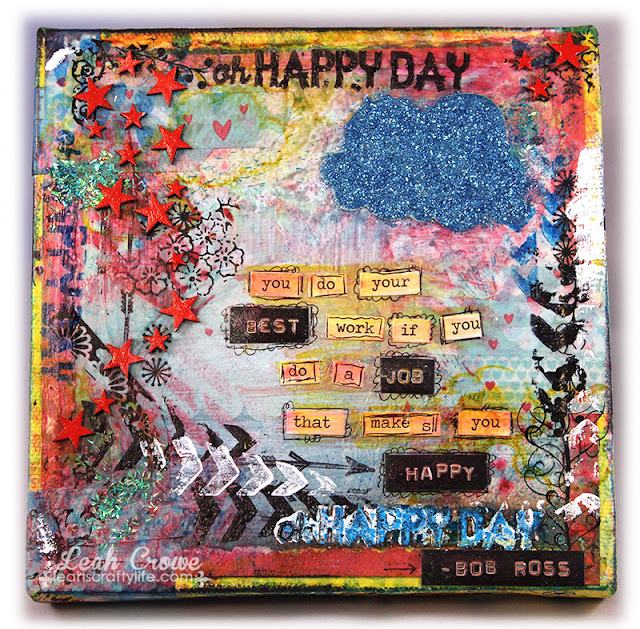 Not really my style... but I see the use of the stamps is very versatile and I could create some layering effects of my own. Thanks for sharing your unique style of making a layout page. I appreciate art and think it's quite special. Thanks for sharing with us! Hi Leah. Love what you did with this page. Saw you on the paper issues link up. 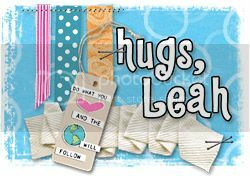 I love connecting with other scrapbookers (now following you). Would love for you to stop by and say hi!